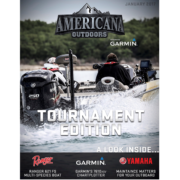 It’s a New Year and a new edition of the Americana Outdoors presented by Garmin E-Magazine! With every January comes the beginning of fishing tournament season – whether it’s bass, redfish, walleye, Pro anglers, weekend warriors, or collegiate angler – we’ve got tons of preview coverage here for you! 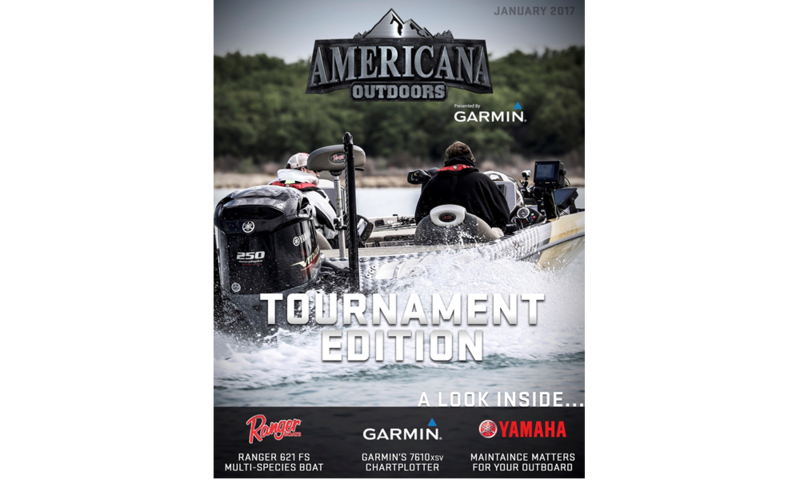 In addition, we check out Ranger Boats’ 621 FS Multi-Species boat, Garmin’s 7610xsv Chartplotter, talk about Yamaha’s Maintenance Matters program, and lots more! Enjoy!